According to the analysts at the Aberdeen Group, companies with a formal onboarding process have an average employee retention rate of 86 percent — fully 30 points better than those without. The importance of well-executed onboarding is known to most HR and Learning and Development teams, as are the additional studies showing how smarter onboarding leads to higher job satisfaction, better job performance, and greater organizational commitment. Today’s onboarding goes well beyond the traditional quick induction many companies used to think of as sufficient for new hires, and now encompasses a dynamic process that begins before the new hire even walks through the door and lasts for at least the first 90 days of their tenure. Onboarding now may encompass a whole host of activities, from new skills training to communications on benefits packages, as well as executive welcome messages and informal team building exercises. Whatever form the onboarding process takes, the ultimate goals are the same: to bring the new hire up-to-speed as quickly as possible and to kick-start the process of integrating them into the wider team. The former ensures that a new employee can be effective in her job in as short a time-frame as possible, while the latter helps cement bonds in the workplace that enhance loyalty and retention. As it has across almost every aspect of corporate training and communications, technology has a key role to play in improving onboarding activities for new hires. And for a growing number of companies, a key component of that “e-onboarding” experience is video. The ability for staff to consolidate new learning by allowing them to view back training materials on-demand. The possibility for companies to onboard cost-effectively at scale, by offering significant savings vs traditional classroom-based training. 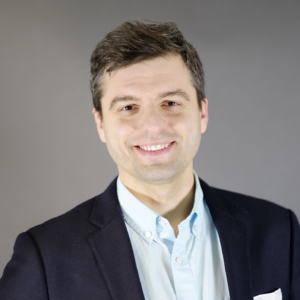 The opportunity to create more consistent messaging – particularly important when teams are spread out over disparate office locations and may be onboarded remotely. The ‘engagement factor’ – the fact that video can capture nuances in staff culture and practices that are often lost in written documentation. This can be a crucial factor in helping a new hire get up to speed with the way things are done at their new organization. 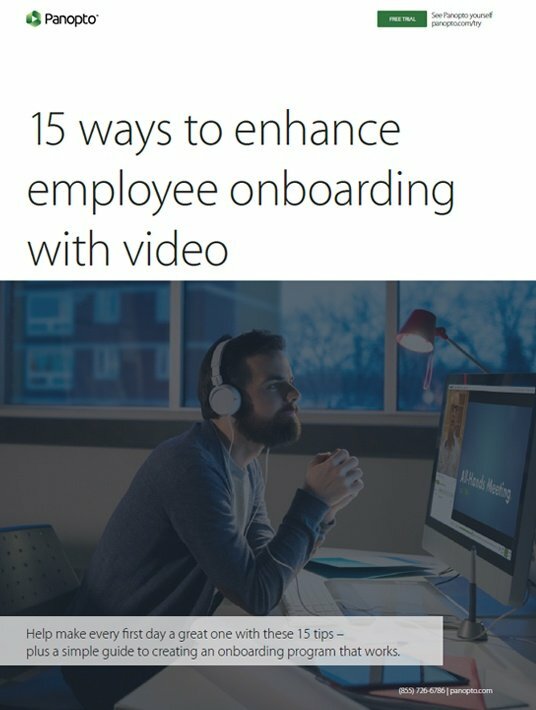 Of course, video can be used in many different ways to improve induction and onboarding, but there are 5 types of onboarding video content that every company should consider creating for new employees. Nothing sets the stage for staff engagement like feeling part of the team, even before a new hire starts. With video, it’s possible to reach out to a fresh recruit before they set a foot in the office so that they feel right at home when they walk through the door. The welcome video message could be from the company’s CEO, from the new hire’s line manager, or even from key members of staff they will be working with when they arrive. Whoever delivers the message, this type of outreach can alleviate first day nerves and demonstrates the kind of inclusive, engaging, open corporate culture that many employees are seeking in a company they envision staying with long-term. Many new hires don’t get a face-to-face handover with the person who previously did their job. This can drastically impact the amount of time it takes an incoming staff member to pick up key skills and understand the intricacies of various processes. Companies are starting to see video content as a way of bridging this gap, capturing important knowledge from the member of staff leaving for the new hire to refer to when they arrive. An important part of most induction processes is giving new starters an overview of critical company policies. Sometimes this is done via face-to-face presentations, other times by giving new hires extensive documentation on the relevant processes and procedures. With much of the information imparted being intricate and detailed, these modes of delivery are far from ideal. Video content, however, can allow an experienced HR practitioner to outline a complex policy in layman’s terms and in an engaging format that can be watched back in the future if a new starter needs to refresh their memory. Of course, the part of the onboarding process that is going to have the greatest impact on how a new employee does their job is the training that is specifically tailored to their day-to-day activities. Video training helps mitigate against the kind of ‘information overload’ that often plagues onboarding procedures and gives new hires the best chance to effectively assimilate a large amount of learning on how to do their job in a short amount of time. As well as providing the option to play back on-demand, a video content management system like Panopto allows employees to add their own notes to a recording, or create collaborative notes with other colleagues to get even more out of the recorded training. How often have you started at a new company only to realize that you’re not sure how to use the particular model of photocopier they have? Or that you’re not sure how to navigate around the building? Or that you don’t know where important documents are stored? Rather than expecting every new hire to ask how they place a stationary order or what the code is for the elevator, a series of short video tutorials on office basics can save everyone time. With the right video platform and onboarding program in place, employees learn more, feel more connected and remain loyal longer — all at significant cost savings to the company. In our latest white paper, we expand upon the benefits of using video in your onboarding program. Download it for free today! If you want to learn a bit more about how to enhance employee onboarding with training videos, watch the webinar Using Video In Training: What To Look For And Why.